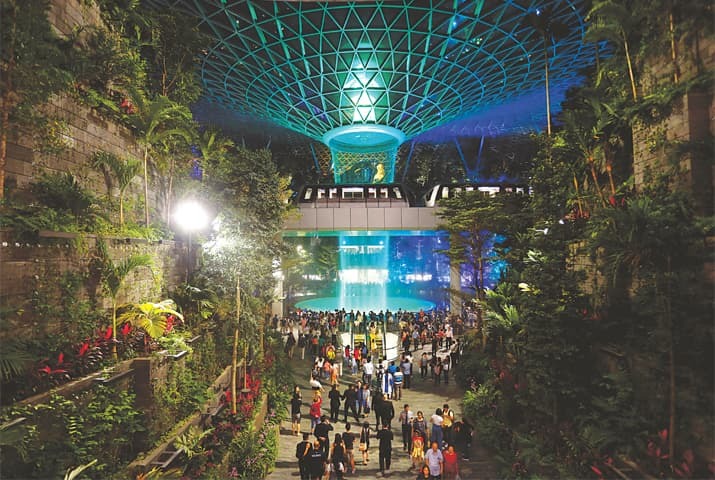 SINGAPORE: A 40-metre indoor waterfall cascading through a steel and glass dome is at the heart of a vast complex in Singapore’s main airport unveiled on Thursday, part of the city-state’s fight for global flights. Reportedly built for a cool $1.25 billion, the “Jewel” centre has gardens growing over four storeys, as well as 280 retail and food outlets, a hotel and cinema. It links to three of the airport’s terminals.